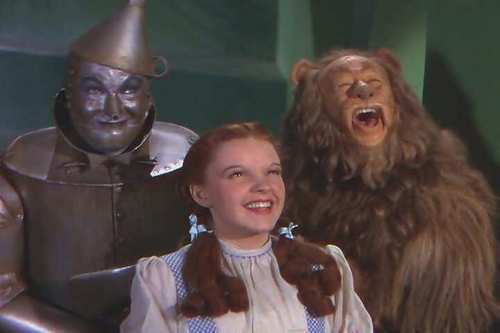 Tin Man,Dorothy And The Lion. Going to meet the wizard. HD Wallpaper and background images in the Le Magicien d’Oz club tagged: scarecrow dorthy lion wizard of oz classic film photo. The cowardly lion makes me want to lol !!! He does! And Dorothy looks so genuinely happy! Great pic of them!